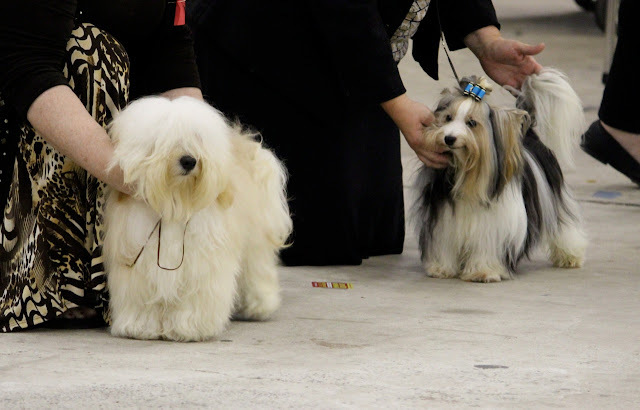 Havanese Chan Chan, left, won the Toy Group on Sunday! Today we're adding just a few words to our Wordless Wednesday post! 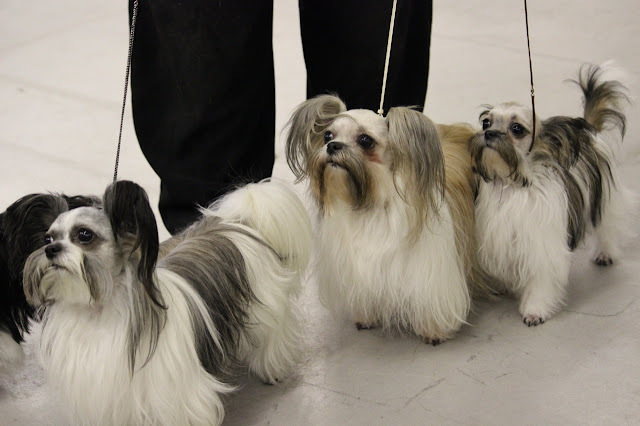 Last weekend we discovered a new (to us) type of dog show. 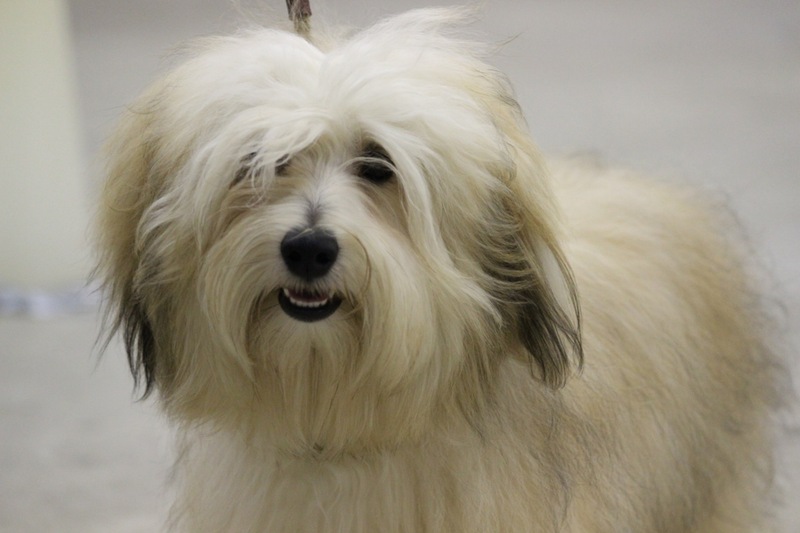 The International All Breed Canine Association holds European-style dog shows in the U.S. and Canada and last weekend we attended the show in Atlanta. They offer competition for many of the same breeds you'll see at AKC shows, and in addition, you'll likely see some new and rare breeds. Mi-Kis were out in full force. We learned they come in smooth and long-coated varieties and that two organizations of Mi-Kis have different grooming standards too. 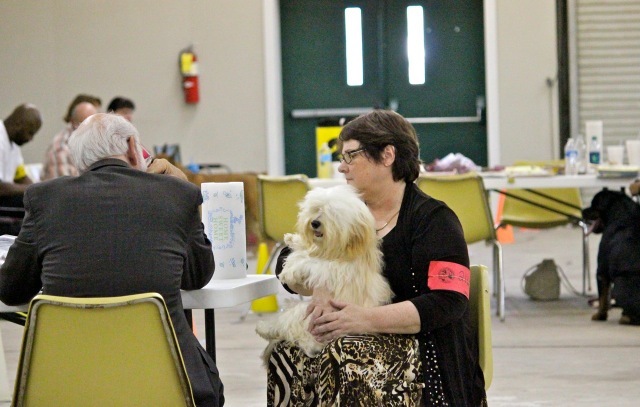 Another difference is that at IABCA shows, the judges sit down with each handler after they show and provide a written critique of each dog, providing each handler input on their dogs strengths and improvement areas. This critique session, shown above, makes each breed session go slower. But since these shows seem to have fewer entries, it's a good trade-off for the handlers. The entire show also is more relaxed. No pantyhose and skirts required! There still was a mix of casual and slightly more dressed up attire, however. One thing was the same... all the dogs were beautiful, both inside and out! 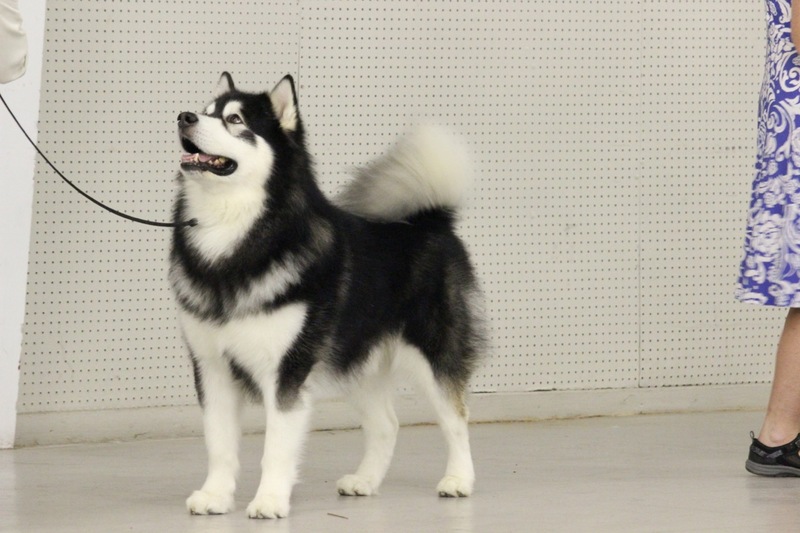 Siberian Husky wins one of the Best in Show events. Want to know more about IABCA shows? 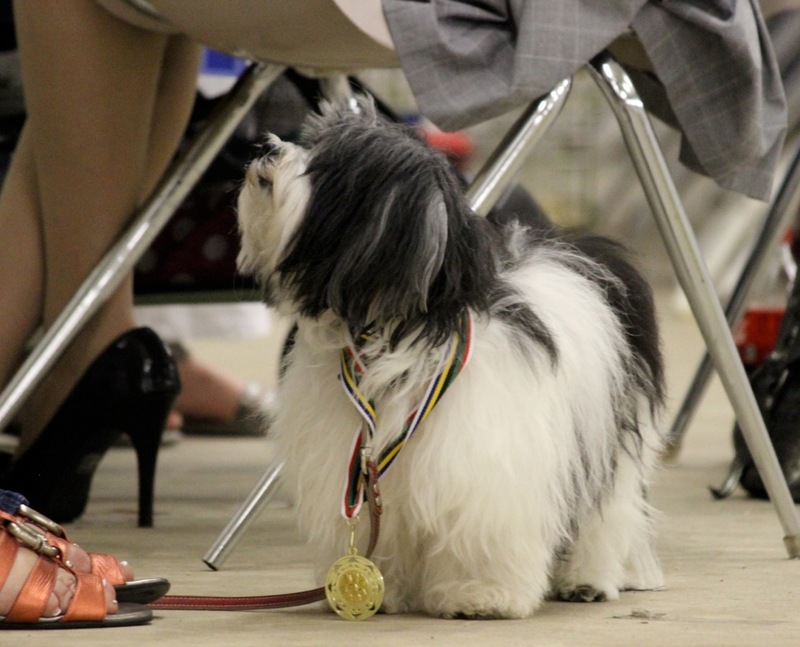 Approximately 75 percent of dogs are AKC recognized breeds, with many of the dogs already champions of record. 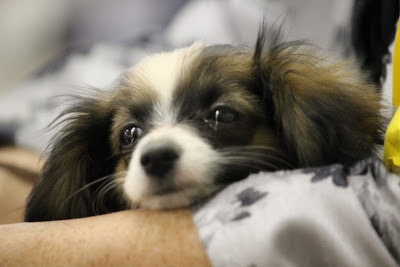 The majority are breeder/owner handled. IABCA has been holding international shows for 20 years. 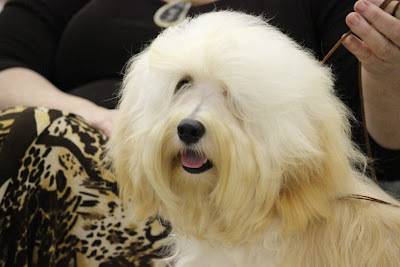 It was a super fun day to see all the dogs and visit with our Havanese pals. To find a show like this near you, check out the IABCA calendar. Plan for a FULL day. 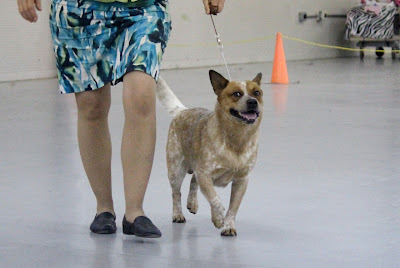 We stayed through the final Best in Show event (there were several in different categories) and left around 7:30 p.m.
Hi! New follower from the WW blog hop! Great pictures! 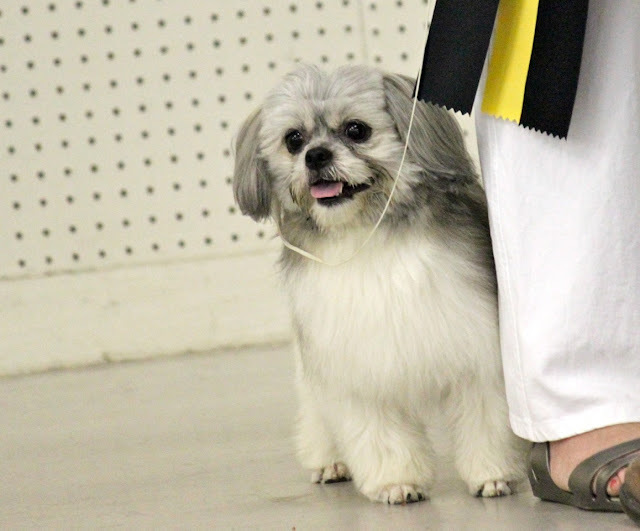 I am a show dog, too! Come check out my blog and follow me back! Pleasure to make your acquaintance on the WW hop. Wow, we never new about that. We love learning about new breeds. 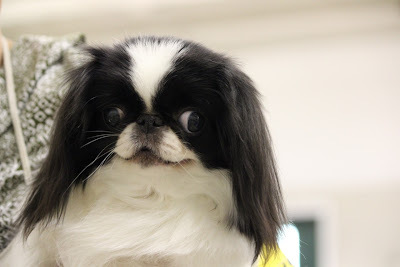 Mom found the hovawart breed through blogging. Thank you for describing some of the differences. The closest one to us is in Orlando... maybe we'll try to go! I love the one with the little clippy in the first photo :) Thanks for telling us about this show. OOO Very good looking doggies. Though I am not eligable for AKC stuff, I still thinks it's cool! Come on over and visit some time! wow! i loved seeing all the photos! looks like a lot of fun and a great way to meet new furiends and their handlers! I agree that IABCA shows are congenial. For the moment that is my show venue of choice. Nice pictures. 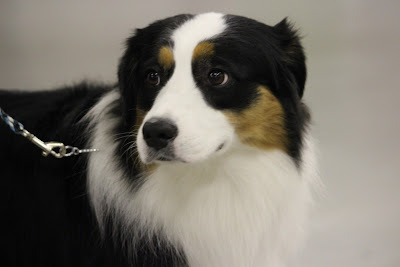 I breed and show Miniature Australian Shepherds so enjoyed seeing that picture.